Harvard professor and symbologist Robert Langdon receives an invitation from Edmond Kirsch, a former student and world-renowned inventor, for a presentation at the Guggenheim Museum in Bilbao that he claims “will change the face of science forever.” Security is tight for those attending the event, and the rest of the world waits with baited breath as they watch a live stream. When disaster strikes before Kirsch can reveal his discovery, conspiracy theories abound. Without knowing who to trust, Robert and museum director Ambra Vidal escape the madness and set out to find the 47 character password that will unlock Kirsch’s earth-shattering presentation. I like Dan Brown’s books for their fast pace and general entertainment. 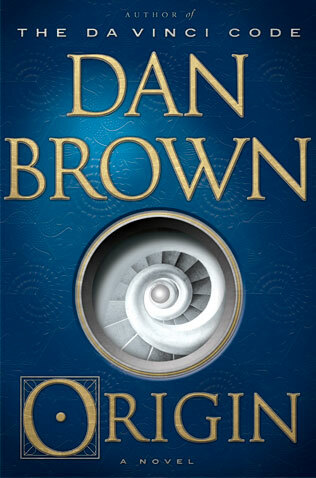 On these counts, Origin delivered as well as previous books in the Robert Langdon series. However, compared to the others, this one was lighter on symbology and more focused on technology and how it’s changing the world. In that regard, it reminded me a bit of Brown’s 1998 techno-thriller, Digital Fortress. Overall, I enjoyed the book and can easily recommend this to anyone looking for an entertaining page-turner.